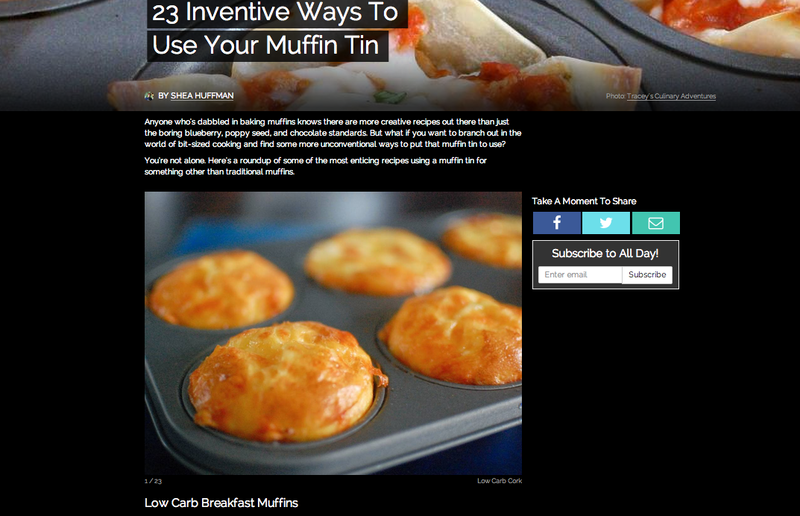 I was excited to see my yummy breakfast muffins pop up at the top of this post over on allday.com, featuring inventive ways to use your muffin tin! There are some great ideas there- particularly these Mini BLT Bowls. I'm going to have to up my muffin tin game!